Encryption is arguably the most important privacy-preserving technology available today, protecting our data and our intellectual property. In this hands-on three-hour course, Michael Pound walks you through the fundamental components of modern encryption, including symmetric algorithms, asymmetric algorithms, and hash functions, demonstrating how these algorithms work and how to develop code using them. You'll learn the difference between block and stream ciphers and dive into block cipher modes of encryption, symmetric key exchange, public key certificates, and the role of hash functions in creating secure protocols that use both symmetric and asymmetric cryptography. You'll leave able to apply these algorithms to develop secure end-to-end encryption in your own projects while avoiding common pitfalls. You're an engineer with development experience who wants to use cryptographic protocols in your systems. You're an engineer who has been tasked with securing existing code. You want a fundamental understanding of modern cryptography. A machine with Python and the Cryptography 2.0+ library installed. Call “pip install cryptography --upgrade” to make sure. Michael Pound is a lecturer and researcher in computer science at Nottingham University, where he teaches the third-year computer security course, which covers a wide range of topics from cryptography to hardware security and malware. 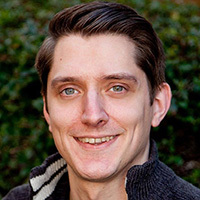 Michael is a regular contributor to the popular YouTube channel Computerphile, where his videos on topics such as image analysis, machine learning, and computer security have accumulated over 18 million views from people all over the world.